^ 1.0 1.1 Hewitt, Chris. John Williams To Score Star Wars Episodes VII-IX. Empire Online. 2013-07-27 [2016-03-21]. ^ 2.0 2.1 2.2 2.3 2.4 STAR WARS: EPISODE VIII NOW FILMING. StarWars.com. 2016-02-15 [2016-02-15]. ^ Star Wars: The Last Jedi. British Board of Film Classification. [2017-11-28]. ^ Star Wars: The Last Jedi Box Office Prediction Eyes $200M+ Opening. Collider. 2017-11-28. ^ 5.0 5.1 Star Wars: The Last Jedi (2017). Box Office Mojo. [2017-12-16]. ^ STAR WARS: EPISODE 8 JUST CAST KELLY MARIE TRAN, HERE'S WHAT WE KNOW. ^ THE OFFICIAL TITLE FOR STAR WARS: EPISODE VIII REVEALED.StarWars.2017-01-23.[2017-01-24]. ^ Kamp, David. Cover Story: Star Wars: The Last Jedi, the Definitive Preview. Vanity Fair. 2017-05-24 [2017-05-24]. ^ 10.0 10.1 White, James. Benicio Del Toro Confirms Casting In Star Wars: Episode VIII. Empire. 2015-09-07 [2015-09-09]. ^ Topel, Fred. Billie Lourd Will Return With A Larger Role In 'Star Wars Episode 8'. SlashFilm.com. 2016-03-13 [2016-03-14]. ^ English, Rebecca. It's Duke Skywalker! William and Harry duel with light sabers as they meet the Star Wars cast and crew on set at Pinewood - before getting a VERY hairy hug from Chewbacca. Daily Mail. 2016-04-19 [2016-04-19]. ^ Libbey, Dirk. This Classic Star Wars Character Will Be Returning For Episode VIII. Cinema Blend. 2016-02-05 [2016-02-05]. ^ Valverde, Michael. Nien Nunb Will Return For Star Wars: Episode VIII. Dork Side of the Force. 2016-02-06 [2016-02-06]. ^ Sokol, Tony. Simon Pegg Negotiating to Join Ready Player One Adaptation by Steven Spielberg. Den of Geek. 2016-03-17 [2016-03-18]. ^ McEwan, Cameron. Doctor Who actor Jimmy Vee is the new R2-D2 in Star Wars Episode 8. Metro.co.uk. 2015-11-16 [2015-12-29]. ^ McNary, Dave. 'Star Wars': R2-D2 Role to Be Filled by Jimmy Vee in 'The Last Jedi'. Variety. 2017-02-14 [2017-02-15]. ^ Fullerton, Huw. Gary Barlow confirms secret Star Wars cameo. RadioTimes. 2017-03-27 [2017-04-17]. ^ 19.0 19.1 19.2 19.3 19.4 Breznican, Anthony. Star Wars Celebration: Updates on Episode VIII and young Han Solo movie. Entertainment Weekly. 2016-07-17 [2016-07-18]. ^ Pearson, Ben. Joseph Gordon-Levitt Has a Cameo in ‘Star Wars: The Last Jedi’. slashfilm.com. 2017-09-11 [2017-09-27]. ^ Chung, Frank. Warwick Davis on Star Wars: Episode VIII 'cliffhanger', possible Willow sequel. News.com.au. 2016-09-30 [2016-10-01]. ^ Clark, Jansen. 'Star Wars: Episode 8' Trailer Rumor: Another Mystery Character to Appear and More. Inquisitr.com. 2017-06-08 [2017-06-09]. ^ Simpson, George. Tom Hardy confirmed for Star Wars: Episode VIII. Daily Express. 2016-05-16 [2016-05-17]. ^ John Boyega confirms royal cameos in 'Star Wars'. m.screendaily.com. ^ Cavanaugh, Patrick. Star Wars: Princes William and Harry Cameos Cut From 'The Last Jedi'. Comicbook.com. 2017-12-14 [2017-12-15]. ^ Leonard, Devin. How Disney Bought Lucasfilm—and Its Plans for 'Star Wars'. Bloomberg Businessweek. 2013-03-07 [2013-05-26]. ^ Star Wars Is Being Kick-Started with Dynamite. StarWars.com. 2013-01-25 [2014-01-04]. （原始内容存档于2016-01-10）. ^ Disney Plans Stand-Alone 'Star Wars' Films. CNBC. 2013-02-05 [2013-05-26]. ^ Fleming, Jr., Mike. 'Star Wars' Bombshell! 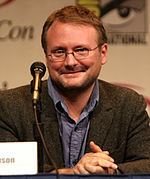 Rian Johnson To Write, Direct Next Two Films. Deadline.com. 2014-06-20 [2014-06-20]. ^ Shaw, Lucas. Rian Johnson to Write and Direct 'Star Wars' 8 – But Not 9. TheWrap. 2014-06-20 [2014-06-20]. ^ McMillan, Graeme. Rian Johnson Says Next 'Star Wars' Will Have Less CGI, More Practical Effects. The Hollywood Reporter. 2014-08-18 [2014-08-18]. ^ Collin, Robbie. Star Wars: Episode VIII will be classic war film like The Bridge on the River Kwai, director reveals. The Telegraph. 2016-07-17 [2016-07-17]. ^ Prudom, Laura. Star Wars Actor John Boyega on Finn's Past: 'I've Got Some Conspiracy Theories'. Variety. 2015-12-07 [2015-12-31]. ^ Star Wars: Episode VIII to Open December 15, 2017. StarWars.com. 2016-01-20 [2016-01-20]. ^ The Official Title for Star Wars: Episode VIII Revealed. StarWars.com. 2017-01-23 [2017-01-23]. ^ Breznican, Anthony. Updated: Star Wars: Episode VIII will shoot in Ireland this month. Entertianment Weekly. 2015-09-09 [2015-09-09]. ^ Clifford, Graham. Skellig Michael: Is 6th-century rock star selling out to a galaxy far, far away?. Irish Independent. 2015-09-06 [2015-09-09]. ^ Marine Notice No. 44 of 2015 – Filming Activity at Sceilig Mhichíl, Co. Kerry (PDF). Department of Transport, Tourism and Sport（英语：Department of Transport, Tourism and Sport）. 2015-09-11 [2015-09-12]. ^ Lucey, Anne; Pollak, Sorcha; Ruxton, Dean. Skellig Michael 'Star Wars' filming cancelled amid high winds. Irish Times. 2015-09-14 [2015-09-15]. ^ Alirjaafar. 'Star Wars' Returning To Pinewood For 'Episode VIII'. Deadline Hollywood. 2014-11-10 [2014-11-17]. ^ Siegel, Lucas. Two More Actors Confirmed to Return for Star Wars Episode VIII. ComicBook.com. 2015-12-14 [2015-12-14]. ^ Ruby, Jennifer. Star Wars producer Kathleen Kennedy confirms that entire cast will return for eighth film. London Evening Standard. 2015-12-17 [2015-12-17]. ^ Chitwood, Adam. 'Assassin's Creed': 35 Things to Know about the Ambitious Video Game Adaptation. Collider.com. 2016-05-11 [2016-07-05]. ^ Caranicas, Peter. Below the Line Bookings. Variety. 2014-11-25 [2014-11-26]. ^ Gallagher, Brian. 'Star Wars 8' Rewrites to Include More 'Force Awakens' Characters?. MovieWeb. 2016-01-18 [2016-01-19]. ^ Clark, Nick. Star Wars: Episode VIII among films facing delays as lighting technicians threaten revolt. The Independent. 2016-01-28 [2016-01-29]. ^ Breznican, Anthony. Star Wars: Episode VIII has started filming. Entertainment Weekly. 2016-02-10 [2016-02-10]. ^ Star Wars Episode VIII Starts Shooting in Dubrovnik This Week. Croatia Week. 2016-03-08 [2016-03-08]. ^ Harris, David. Star Wars: Episode VIII Filming Update: Luke in a Casino, Poe takes Charge. Dork Side of the Force. 2016-03-26 [2016-03-26]. （原始内容存档于2016-04-05）. ^ Barrett, David. Star Wars Episode VIII returns to new locations in Ireland. The Telegraph. 2016-03-20 [2016-03-20]. ^ Star Wars: Malin Head locals feel the force of legendary film. BBC News. 2016-05-13 [2016-12-28]. 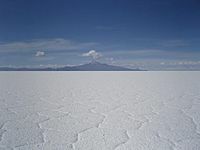 ^ The Breathtaking Bolivian Salt Flats Play an Important Role in 'Star Wars: The Last Jedi'. Remezcla. 2017-12-15 [2017-12-18]. （原始内容存档于2017-12-18）. ^ Romano, Nick. Star Wars: Episode VIII director Rian Johnson announces end of production. Entertainment Weekly. 2016-07-22 [2016-07-22]. ^ Trumbore, Dave. Lupita Nyong'o Hasn't Shot Her 'Star Wars: Episode 8' Role Despite Rian Johnson Wrapping Production. Collider（英语：Collider (website)）. 2016-09-11 [2016-09-12]. （原始内容存档于2016-09-12）. ^ Evry, Mark. Star Wars: The Last Jedi Scene Shot in IMAX, Plus MORE Disney IMAX Releases. ComingSoon.net. 2017-02-22 [2017-08-22]. ^ Riefe, Jordan. Original 'Star Wars: The Last Jedi' Script Called for a 'Ridiculous Amount of Sets'. The Hollywood Reporter. 2017-12-13. ^ Sciretta, Peter. 'Star Wars: The Last Jedi' Has More Practical Creatures Than Any 'Star Wars' Film. /Film（英语：/Film）. 2017-12-15 [2017-12-16]. ^ McCluskey, Megan. An All-Time Favorite Star Wars Character Makes an Epic Cameo in The Last Jedi. Time Magazine. 2017-12-15 [2017-12-16]. ^ Riesman, Abraham. Did You Catch the Brazil Reference in The Last Jedi?. Vulture. [2017-12-30] （英语）. ^ Dumaraog, Karissa. 'Star Wars: Episode 8' news: John Williams to score upcoming installment. Vine Report. 2016-06-13 [2016-06-13]. ^ McCormick, Rich. John Williams confirms he's working on the score for Star Wars: Episode VIII. The Verge. 2016-08-16 [2016-08-16]. ^ Burlingame, Jon. 'Fantastic Beasts' and 'The BFG' Tap into Magical Musical Worlds. Variety. 2016-12-01 [2016-12-01]. ^ McClelland, Keenan. John Williams Already Hard at Work Composing 'The Last Jedi'. Geek.com. 2017-02-21 [2017-03-22]. ^ Records, Walt Disney. Star Wars: The Last Jedi Original Motion Picture Soundtrack From Oscar®-Winning Composer John Williams Available Today, December 15. www.prnewswire.com. [2017-12-30] （英语）. ^ Lussier, Germain. Disney CEO Confirms Release Years for 'Star Wars Episode VIII' and 'IX', Teases More Trilogies. /Film（英语：/Film）. 2015-01-29 [2015-02-01]. ^ Truitt, Brian. 'Star Wars: Episode VIII' coming in May 2017. USA Today. 2015-03-12 [2015-03-14]. Also, writer/director Rian Johnson's Star Wars: Episode VIII — to follow J.J. Abrams' Star Wars: The Force Awakens, out December 18 — is now scheduled to arrive on the big screen May 26, 2017. ^ Mendelson, Scott. First 'Star Wars' Stand-Alone, 'Rogue One,' Will Have Female Lead In Felicity Jones. Forbes. 2015-03-12 [2015-03-14]. Star Wars: Episode VIII will indeed be directed by Rian Johnson (Looper) and will be released on May 26, 2017, or around the 40th anniversary of the original Star Wars. ^ McClintock, Pamela. 'Star Wars: Episode VIII' Gets New Release Date. The Hollywood Reporter. 2016-01-20 [2016-01-20]. ^ Star Wars: The Last Jedi (2017). Rotten Tomatoes. [2018-11-29]. ^ Star Wars: The Last Jedi reviews. Metacritic. [2018-01-10]. ^ D'Alessandro, Anthony. 'The Last Jedi' Opening To $219M: How Disney Continues To Win With The 'Star Wars' Franchise. Deadline.com. 2017-12-17 [2017-12-17]. ^ D'Alessandro, Anthony. 'Star Wars: The Last Jedi' Thursday Night Previews Hit $45M. Deadline.com. 2017-12-15 [2017-12-15]. ^ Taylor, Chris. 'Last Jedi' gets thumbs up from 89% of viewers, says new poll. Mashable. 2017-12-20 [2017-12-21]. ^ 77.0 77.1 全國電影票房2017年12/18-12/24統計資訊 (PDF). 國家電影中心. 2017-12-28. ^ 全國電影票房2018年01/01-01/07統計資訊 (PDF). 國家電影中心. 2018-01-11. ^ 全國電影票房2018年04/16-04/22統計資訊 (PDF). 國家電影中心. 2018-04-26. ^ Parker, Ryan. J.J. Abrams to Replace Colin Trevorrow as 'Star Wars: Episode IX' Writer and Director. The Hollywood Reporter. 2017-09-12 [2017-09-12]. （原始内容存档于2017-09-12）. ^ Ford, Rebecca. 'Star Wars: Episode IX' Sets 'Jurassic World' Director Colin Trevorrow to Helm. The Hollywood Reporter. 2015-08-15 [2016-03-05]. ^ 柯林崔佛洛辭退《星際大戰9》導演職務. 狂熱球電影資訊網. 2017-09-06 [2017-09-06]. ^ JJ Abrams Returning To Director’s Chair On ‘Star Wars: Episode IX’.Deadline.2017-09-12. [2017-09-13].